We have it on good authority that right now there are a tonne of stylists in H&M. No, it's not because the Kenzo X H&M collection has launched early, it's because the high street's Studio collection has hit the stores. The line, which launches every season, is a curated collection of super cool items that reflect the upcoming trends. 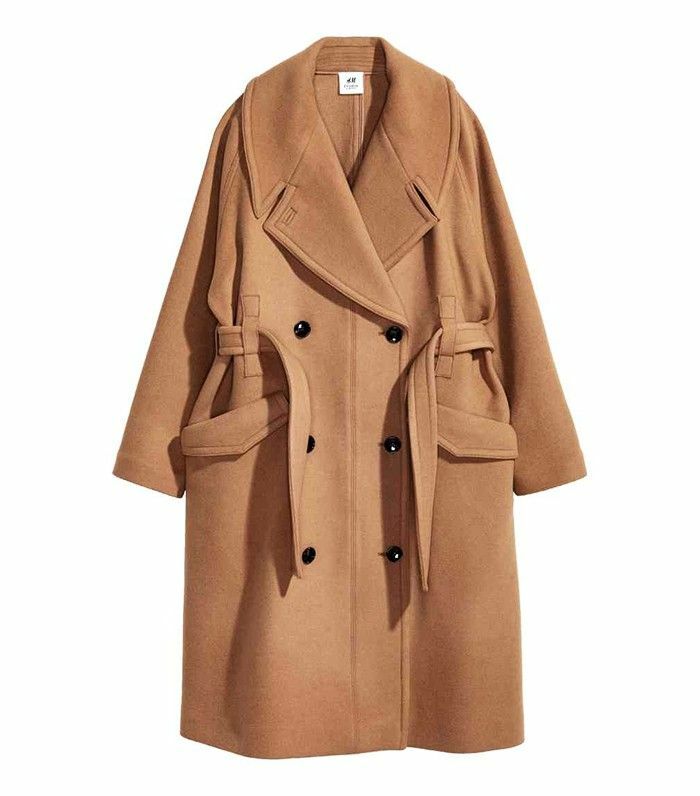 This September's pieces include a classic camel coat, a pinstripe suit, and a suede shearling jacket that will be perfect for the colder weather. There's also a pretty lace camisole and a black dress that we know we're going to see on everyone come autumn. But, as there are so many people already buying the collection, many items have already sold out. However, fear not, for we have honed down the line and picked some of our favourite pieces that haven't yet sold out and ones you can buy immediately. Take it from us, you don't want to miss out on this. Click through our gallery of H&M Studio picks to shop them right now before they sell out. Seriously, this will never go out of style. A cosy coat that will last you through winter. OK, maybe not for now (it's still warm, people) but you'll love this come December. Pair with frayed jeans and boots. This top comes in different colours. We might just buy one in each. We can just see ourselves wearing this with a pair of white trainers. Something a little different for work? Oh so pretty with sneakers or boots. Which pieces will you be shopping? Tell us in the comments!